Company founded in High Bridge New Jersey by William Allen and Joseph Turner. Produced cannon balls for George Washington’s army. 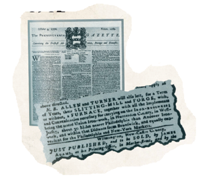 Robert Taylor, an Irish immigrant, became works manager in 1769 and purchased control of the company and became Taylor Iron Works. Taylor Iron Works produced major product, manganese durable rails and wheels that enabled western expansion from New Jersey to Pennsylvania. Pioneered new metal forging techniques in North America. Taylor-Wharton Iron & Steel Company was incorporated after Taylor Iron & Steel Company purchased William Wharton Co. Developed technologies to store and transport liquid oxygen due to high demand for industrial oxygen in America. Growing need for liquified oxygen and nitrogen led to the first insulated liquid cylinder was launched. Taylor-Wharton provided cylinders for the Apollo missions, successfully sending a man to the moon and returning him to earth safely. Taylor-Wharton Malaysia plant was built to manufacture cryogenic tank. Air Water Inc., an industrial gas company based in Japan, has acquired 100% of the share of Taylor-Wharton Malaysia. please refer Air Water Inc. for company detail. 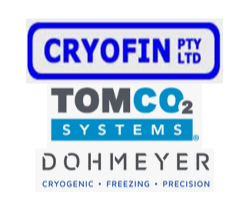 Air Water Inc. has acquired Cryofin Pty Ltd and TOMCO2 Systems to further expand our comprehensive line of cryogenic equipment, applications, and support in the U.S. and globally. Additionally, Air Water Inc. partnered with DOHMEYER to drive expansion of their products into the U.S. market.